Bunnie was out of Briarpatch Brat by Deep Run Derek. 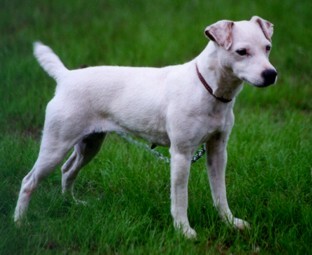 She had a wonderful temperament, excellent conformation, and was a keen little working dog. She held a JRTCA Bronze Medallion, with Natural Hunting Certificates to groundhog, raccoon, possum and red fox. She excelled in conformation showing, with many wins including Working Terrier Champions and Reserves. 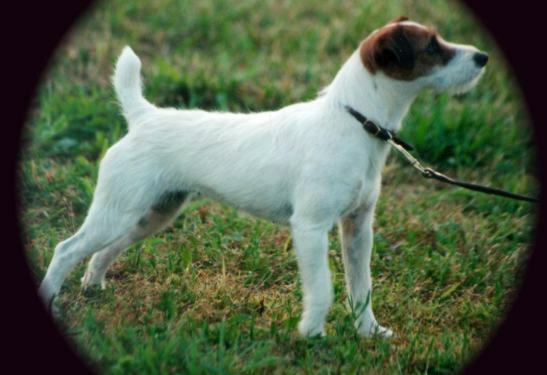 Bunnie was an outstanding terrier in all ways, and fortuantely left us with some great offspring including Briarpatch Boots, Boone, Beckie, and Brandy - all of whom are carrying on in her tradition. We lost Bunnie to a tragic accident that broke our hearts. Soot was out of Meynell Ramble by Maven's Tailor. She was an outstanding worker, holding the JRTCA Bronze Medallion for Special Merit in the Field. 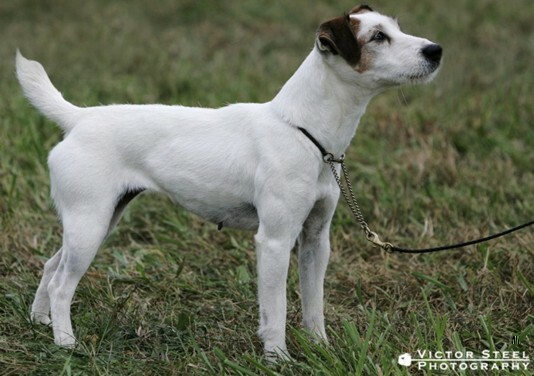 She also earned high honors in the show ring in her limited showing career, including Reserve Working Terrier Conformation Champion at the 1996 JRTCA National Trial. She has a super personality, and has always been a valuable part of our team! She enjoyed a long life and we are proud to have owned this great terrier. Hasty was out of Briarpatch Hanna by Briarpatch Bo. She was an outstanding worker, and held the JRTCA Bronze Medallion for Special Merit in the Field. She has also earned high honors in the show ring, including many Working Terrier Conformation Championships and Reserves. We lost her to kidney failure, as a result of a long battle with Lymes Disease.